Do you still have questions about the adoption process? Click on any of the questions below to read the answer to questions that couples frequently asked about adoption. If you don’t find the answers to your questions, please contact us and we’ll answer any questions you have. What are our options if we want to adopt a baby? There are three paths you may follow to adopt a baby: domestic adoption, international adoption and foster adoption. Each path has its own benefits and challenges. International adoption is when adoptive parents arrange to adopt a child from another country through an agency. It is a complex process and each country has different laws governing adoption. Children available may be toddlers rather than infants by the time the process is completed. In international adoption, open adoption is not often an option because information on birth parents is not readily available. This option is typically the most expensive type of adoption. Foster adoption involves adopting a child who has been removed from the home of biological parents usually due to neglect or abuse. Available children in foster adoption tend to be older. The wait for an infant may be significant, but the costs will be quite low. Domestic adoption involves a couple adopting an infant from a birth mother located in the United States. The birth parents relinquish custody and then the adoptive parents legally assume the role of parents to the child. This type of adoption is handled by agencies (such as our own) or by a private attorney. The wait time for an adoption is unpredictable and varies by family. Fees vary in domestic adoptions, but typically are less than the costs for an international adoption. What are the qualification and requirements to adopt a baby? Applicants must reside in the State of Kansas. Applicants must be legally married for a period of at least one year at the time of application for adoption. ​Applicants must be 21 years of age at the time of application for adoption. ​Applicants must provide a physician's statement showing good physical and emotional health. Applicants must be affiliated with a church of choice; a reference from pastor will be required when the adoption home study begins. Documented infertility or medical conditions that recommend against pregnancy are a prerequisite for the application for adoption. Applicants must have sufficient income and assets to be able to support their family and care for a child. Applicants must show that adequate, stable and safe living conditions will be provided for a future adopted child. Home ownership is not required. The adoption process involves meeting with your social worker, completing an application, completing your open adoption education, completing your homestudy and creating your online profile. Your social worker will support you throughout your adoption journey. Once your profile is completed, the agency will be able to show it to expectant mothers and/or fathers. Once you are selected, you will meet the expectant parent face to face. You will be able to get to know her throughout her pregnancy unless the baby has already been born. Once the baby is born, the birthparent/s will spend the time that they need in the hospital with the baby. It is common for the birth mother to want the adoptive parents to be at the hospital as well. The birth mother may sign the relinquishment at the hospital or after she leaves the hospital. You will need an attorney to finalize your adoption. The social worker will send the attorney all of the require paperwork to complete the adoption. If we are interested in adopting, how do we start the process? The process begins with education, so by reviewing information on this website you have already made the first step. From here you may go to the website of your regional adoption worker or contact your worker by phone. To get all your questions answered, you may then set up an informative interview by phone or in person before proceeding to the application process. How long does it take to adopt a baby? There is no exact timeframe that can be given. Unfortunately, there is also no guarantee that you will adopt a baby through our agency. Couples that market themselves by getting the word out that they are wanting to adopt increase the likelihood they will adopt. Information and techniques on how to market yourselves can be further discussed with your adoption social worker. what if want to adopt from another country? Catholic Charities’ focus is on domestic birth adoptions. While we believe in adoption, we do not process adoptions from another country in Kansas. To adopt for another country, the government requires a different form of home study and the person must be Hague certified. All of our social workers are certified and have a minimum of two years of experience in writing home studies and meet Kansas state requirements for domestic adoptions. 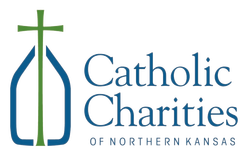 A home study is conducted after you have submitted your application, paid your application fee and have been accepted by Catholic Charities to be in our program. More specifically, the agency conducts an investigation of you and your family and your ability and readiness to welcome and accept a new member into your family. The home study is designed to assist the agency in learning about you and ultimately determining if you meet the requirements set forth by governmental agencies in the State of Kansas. A home study has to happen if you plan to adopt, domestically or internationally, there is no way to get around this requirement. Therefore, working with an agency that is licensed to conduct home studies and is designated as a “child placing agency” is imperative. The home study process, which can take about 90 days on average, and will include several office interviews with your assigned Social Worker as well as one visit of the home itself. While this process is often anxiety provoking to the prospective adoptive couple, it is done for the protection of the child. We as an agency are obligated to make sure the child we have been entrusted with is safe and well cared for in your home. Please note, each diocese may have additional requirements for education and marriage assessment. what does open and closed adoption mean? Open Adoption: A form of adoption in which the biological and adoptive families have access to varying degrees of one another's personal information and have various options of contact. No two adoptions are the same. The level of openness is unique to each adoption situation depending on what the birth and adoptive parents feel is most appropriate for their schedules and in the best interest of the adoptee. Closed Adoption: A form of confidential adoption in which there is no relationship or contact between the birth parents and adoptive family. Typically, the expectant and adoptive parents arrange the adoption process via an attorney or adoption support worker. No member of the adoption triad (birth parents, adoptive parents, adoptee) is given identifying information about one another. Adoption costs vary depending on the type of adoption. According to a survey completed by Adoptive Family Magazine, adoption from the foster care system can cost almost nothing, domestic adoptions cost at least $20,000 on average, and international adoptions cost around $35,000. Private adoptions completed through an attorney may cost $40,000. ​Fortunately, Catholic Charities agencies are more affordable than a typical agency. A typical adoption through our agency costs around $15,000. We have a sliding fee scale on placement costs, so your costs may be even less. You pay fees as you go, so the total amount is not due in one payment. The federal government offers and adoption tax credit and private organizations offer grants, so adoption may be more affordable than you think. Are there any grants available to help with the cost of adoption? What choices do we have? Can we choose whether we adopt a boy or a girl? What rights and protections do we have if we adopt a baby? Once the adoption is finalized, the couple is protected legally. You will have complete rights to your child, the same as someone who gave birth to a child. Before the adoption is finalized there can be legal risks involved in the adoption process. Your social worker will help clarify what, if any risks are involved in the process prior to your finalization of adoption in court. What support or counseling is available throughout the adoption process? Even though the adoption is complete, we hope our relationship with you will continue and that you will stay in touch. Some of our reasons for wanting to continue the relationship are selfish. To begin with, we need your feedback so we can continually improve our program. Through this extraordinary experience, you got to know us pretty well and you can help us make our program better. Furthermore, as the persons who are living the open adoption experience, you have much to teach us as your family grows and as you encounter a variety of situations. We also need your continuing interest and support. Sometimes we come across puzzling circumstances and we like to like to call our “alumni” for advice. Occasionally, we ask our veterans to help us in the never-ending project of describing the program to the general public. We like to think we can be helpful to you as well. If ever you run into a confusing situation related to adoption, we are a good place to start in your search for information. We can do some troubleshooting if necessary. Every once in a while we publish a newsletter, and now and then we organize a special event (banquet, picnic) to bring together the open adoption community and renew old friendships. In the past, adoption was considered a one-time event. Today, we recognize that it is a lifelong experience and the need to stay connected never ends. We are in this experience with you for the long haul. Why should we work with Catholic charities versus another adoption agency? 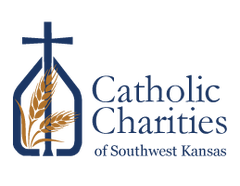 Each diocesan Catholic Charities office throughout Kansas is a State-licensed child-placing agency. We work with expectant parents and adoptive couples to facilitate compassionate infant adoption services. In working with birth parents, we help them explore their thoughts and feelings about parenting and/or creating an adoption plan. The final decision about parenting or adoption belongs with the expectant parents. Our agency adoptions are open because we believe children are best served by preserving their connection to their family of origin. In addition to helping expectant mothers create adoption plans, we also complete home studies for adoptive couples, and provide adoption search and reunion services. If you are interested in learning more about our adoption services, please contact the Adoption Support Worker nearest you as they are ready to help.